New York Comic-Con wrapped up on October 7th and ended a crazy four days at the Javits Convention Center in NYC. My last press roundtable of that weekend was for the upcoming science fiction film Prospect, which stars Jay Duplass (Transparent), Pedro Pascal (Game Of Thrones), and Sophie Thatcher, who makes her feature-film debut here. The film, which had its premiere in March at the SXSW Film Festival, was written and directed by Chris Caldwell and Zeek Earl, and is a feature-length version of their 2014 short. It will be released on November 2, 2018 in Regal theaters, which will be offering an exclusive art print by Christopher Shy, as well as an exclusive download of the film’s accompanying Playbill, Aurelac Prospecting: Guide To Getting Rich On The Green Moon, that delves into the film’s world-building. Booth 2304 at this year’s New York Comic-Con was once again occupied by the fine folks at Storm King Comics. Led by matriarch Sandy King Carpenter, they welcomed writers, artists, collaborators, and more. I was there to interview Mike Sizemore, who contributed an 8-issue story, Vortex, to the John Carpenter’s Tales of Science Fiction comic book anthology. I was introduced to David J. Schow, writer of countless novels, short story collections as well as the noted screenwriter of The Crow and Leatherface: The Texas Chainsaw Massacre Part III. Schow is currently working with Storm King on The Standoff, the latest in the monthly Tales of Science Fiction line. See below for my interview with Schow. 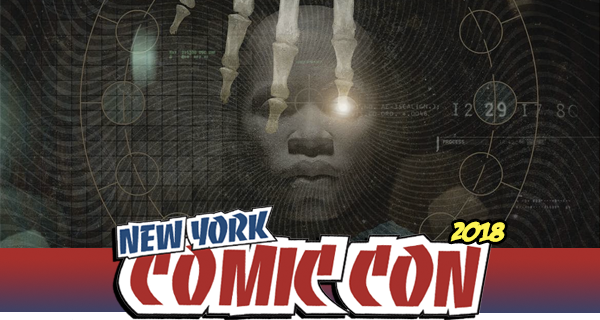 New York Comic-Con wrapped earlier this month and for the second straight year I was excited to hang out at booth 2304, with the crew from Storm King Comics, some of the very best in horror and genre fiction. John Carpenter is the Master of Horror, but he is a jack of all trades. Well known for his extensive filmography he has branched out into other mediums in recent years. His wife, producer and collaborator Sandy King Carpenter, founded Storm King Productions and in 2015, Storm King ventured into the world of comics and graphic novels with titles such as Asylum, and anthologies like Tales For a HalloweeNight and Tales of Science Fiction. The second story in John Carpenter’s Tales of Science Fiction was Vortex, an 8-part saga dealing with hidden evils inside a space mining colony. I got a chance to share a couch with Mike Sizemore the author of Vortex, and discuss the comic book series, his inspirations, and working for Storm King. The panel for American Gods, the Starz television series based on the award-winning 2001 novel by Neil Gaiman, was one of the most anticipated events at this year’s New York Comic-Con. Season 2 recently wrapped, so the creators and stars were present to talk about what we can expect in the next season and more. At the convention center, we got to participate in the press roundtable interviews for the series, and this time around, we got to sit down with Crispin Glover (Mr. World), Bruce Langley (Technical Boy), and Yetide Badaki (Bilquis). Years ago I became a fan of Dan Fogler from his offbeat comedies Balls of Fury (2007) and Fanboys (2009). He has since blossomed into one of the “it” guys in the business right now as he readies to appear in season 9 of TV’s biggest show, AMC’s The Walking Dead, has Fantastic Beasts and the Crimes of Grindelwald coming to theaters in mid November, and has a recurring role in ABC’s The Goldbergs. He is also a writer of graphic novels, which all led him to this year’s New York Comic-Con. 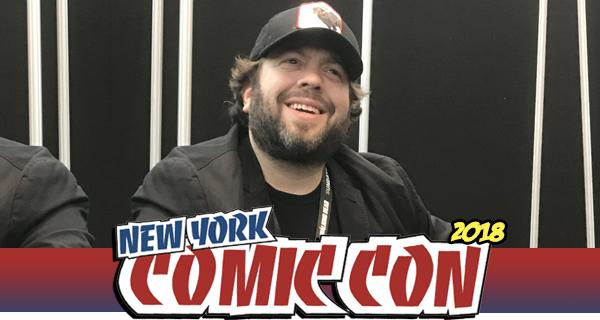 The Brooklyn-born actor and author sat at the Heavy Metal booth selling out copies of his graphic novel, Brooklyn Gladiator, before taking a few minutes to jump in a press room for some questions. 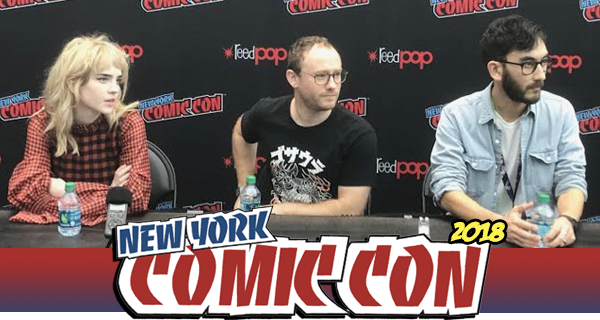 The creators and stars of American Gods, the Starz television series based on the award-winning 2001 novel by Neil Gaiman, made an appearance at this year’s New York Comic-Con last week and were eager to talk about what is planned for the upcoming second season. 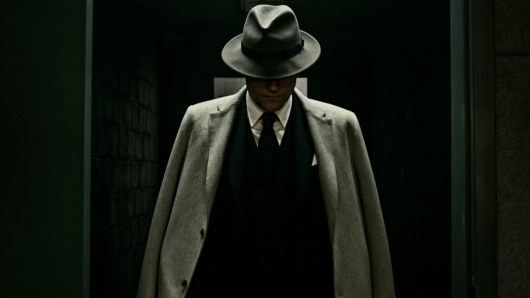 We got to speak with several members of the incredible show, which returns to STARZ next year, at the Jacob Javits Convention Center to discuss their characters and the future of the series. See below our roundtable discussion with Emily Browning (Laura Moon), Pablo Schreiber, and Demore Barnes (Mr. Ibis). Day 4 of New York Comic-Con started in a way I could not have imagined: with me leaping off a crane hundreds of floors up above a raging inferno below. Or at least that’s what it seemed like during the Skyscraper: The Impossible Leap experience. 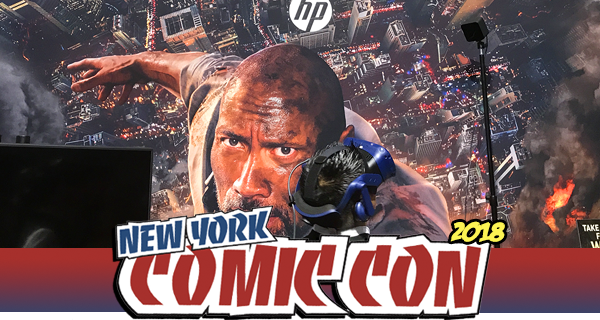 Located in the 100s row of the NYCC show floor, Skyscraper’s VR experience allowed fans to mimic Dwayne “The Rock” Johnson’s epic leap from a crane to an open window of the burning tower The Pearl from the film Skyscraper, which opened early this year on July 13th. The VR experience was available at certain theaters across the country and was exactly what VR should be. 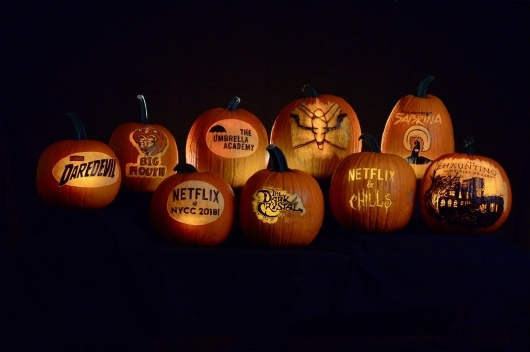 Friday night at New York Comic-Con featured one of the most anticipated panels of the event: Netflix and Chills. The two-plus hour panel gave the Javits Convention Center Main Stage crowd insight and previews into four of the biggest upcoming series coming to the streaming service this Fall and in the near future. We were treated to stars of The Umbrella Academy, The Haunting of Hill House, The Dark Crystal: Age of Resistance, and Chilling Adventures of Sabrina. Moderator Josh Horowitz had his hands full with all the guests in an amazing night for the NYCC main stage crowd. You never know what you’re going to see or who you’re going to meet at New York Comic-Con. 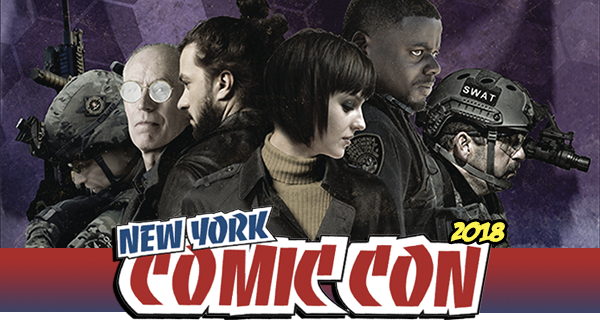 Over the four-day NYCC extravaganza, I sat in press rooms with the executives, writers, and stars of television and film, as well as comic book authors and artists. But I truly did not expect to interview a presidential candidate. 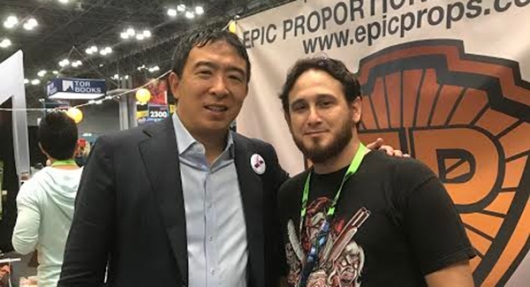 On Saturday afternoon, in the middle of the crowded show floor at the Jacob Javits Convention Center in NYC is where I met Andrew Yang, an executive and entrepreneur who declared his candidacy for President of the United States as a Democrat earlier this year.